The National Park "Chavash Varmane" was established by the Decree N588 of June 20, 1993 of the Government of the Russian Federation and has a total area of 25,200 hectares. It is situated on the south border of the Chuvash Republic in Shemurshinsky district and borders on the Republic of Tatarstan. 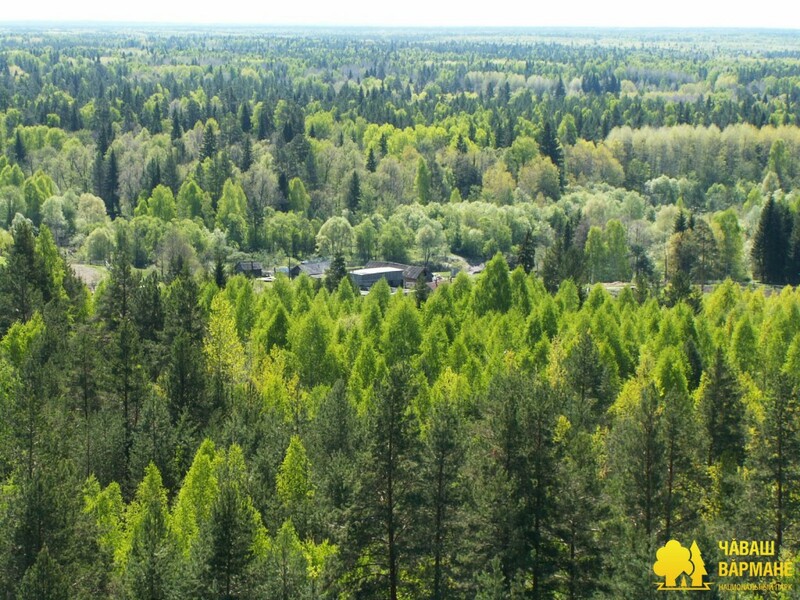 According to the forest zoning of the Chuvash Republic, the territory of the National Park is a southeast part of Prisursky forest area. 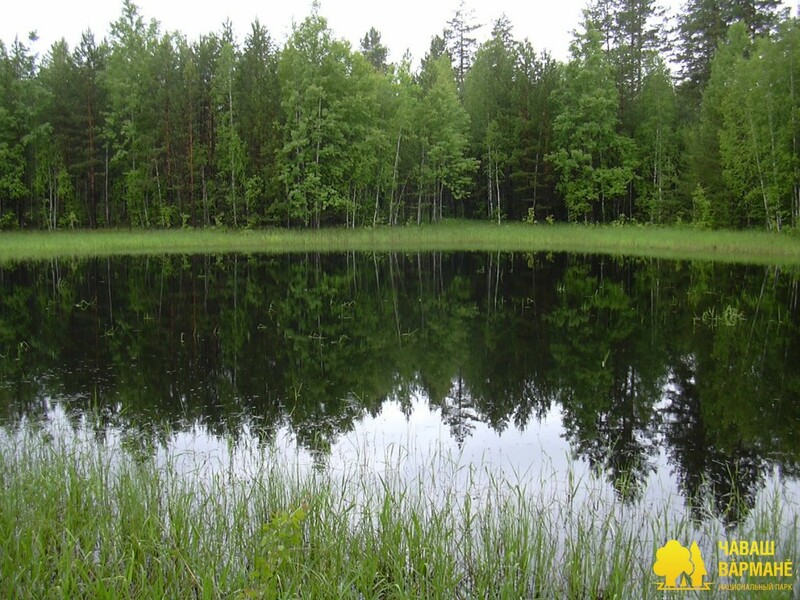 The distinctive feature of the National Park "Chavash Varmane" is a diversity of biocenosis from south taiga to forest steppe including the whole ecological sequence of a wildlife habitual area from dry pine forest to bogs exposed on a relatively small territory. Flora and fauna of the National Park are remarkably rich and various. Only higher vascular plants here encompass 800 species, among them there are rare and endangered, included in Red Data Book of the Chuvash Republic. The National Park is also known for a rich diversity of its medicinal plants. Popular medicinal herbs such as valerian, galangal (potentilla erecta), lily of the valley, St John's wort and others grow here. The territory of the National Park has a list of 182 birds species, 90 of which are nestling, 17 amphibian and reptile species, 19 fish species and over 40 mammal species. As presumed by zoologists, nearly 90% of vertebrates species composition recognized in the Chuvash Republic, inhabit the territory of the National Park. Typical animals here are squirrels, white hares, martens, beavers as well as moose, wild boars, ermines, badgers, lynx, wolves and bears. The Park encompasses several worth seeing historical sites. They include iron ore (bog iron) production sites, resinous wood distillation and charring sites. There are also noteworthy spots of former cloth manufactory, Karlinskaya chain of fortification lines and others. 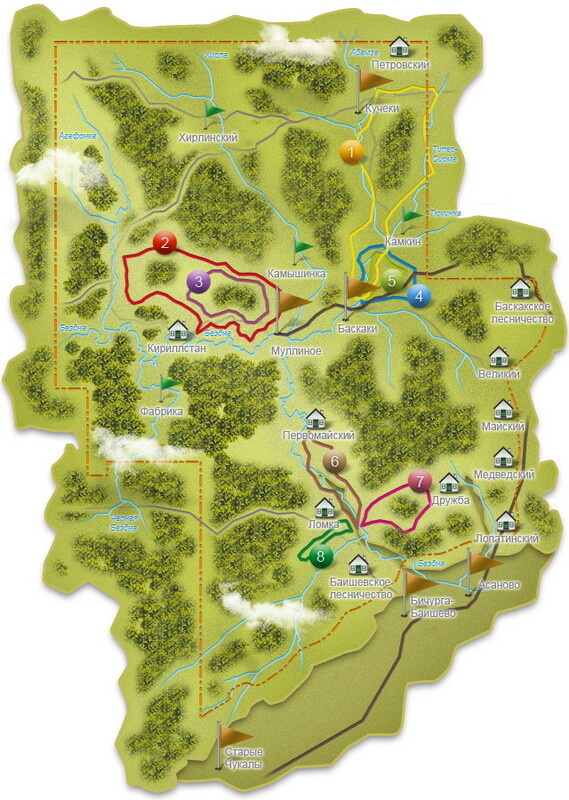 We invite all real friends of nature to an insightful journey to the National Park "Chavash Varmane".